You will be picked up from your accommodation at 5:30am, first destination Kings Canyon. Enjoy a 3 hour hike through the sandstone domes of the Lost City. Visit the Amphitheatre, North & South Wallsand have the beautiful Garden of Eden. Next stop, Curtin Springs where we set up our bush camp. Your guide will prepare a healthy camp-oven dinner. Relax around the fire then curl up in your cozy swag under a million stars. Feel the spiritual significance of the Valley of the Winds at Kata Tjuta. See lots of bush tucker along the hike before heading to the Aboriginal Cultural Centre where you can listen to tales from the Dreamtime. We spend the evening enjoying dinner at the spectacular Sunset over Uluru.Witness the awesome sight of Uluru changing colour. We spend this night at the Yulara resort campground. Departs Daily from the Alice Springs Bus Stop (Next Door to the Rock Tour Office) at 10:30am and arrives in Coober Pedy at 7:00pm. Underground Opal Display, Historic Town Sites, Underground Church, Desert Golf Course, Underground Pottery, Opal Fields Fossicking for Opal, Crocodile Harry's Home/Museum, Mine Tour , The Beautiful Breakaways, The Moon Plain and The Dingo Fence. 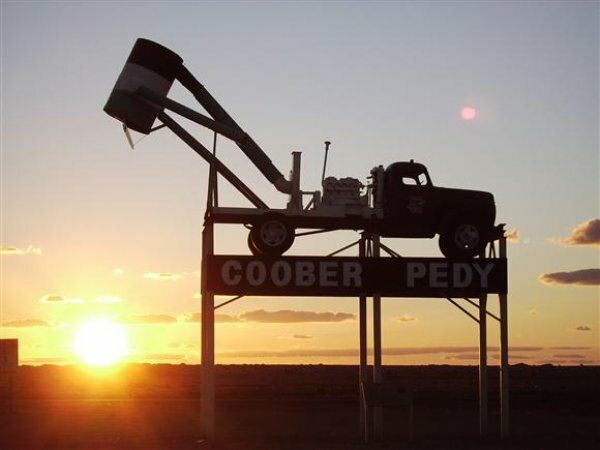 The Greyhound Bus Departs Daily from Coober Pedy at 7:30pm and is an overnight bus trip. Day 6: Arrive in Adelaide at 7.00am at the Greyhound bus station. You can book this itinerary in the reverse direction if needed, Please email us on info@therocktour.com.au for the full itinerary.